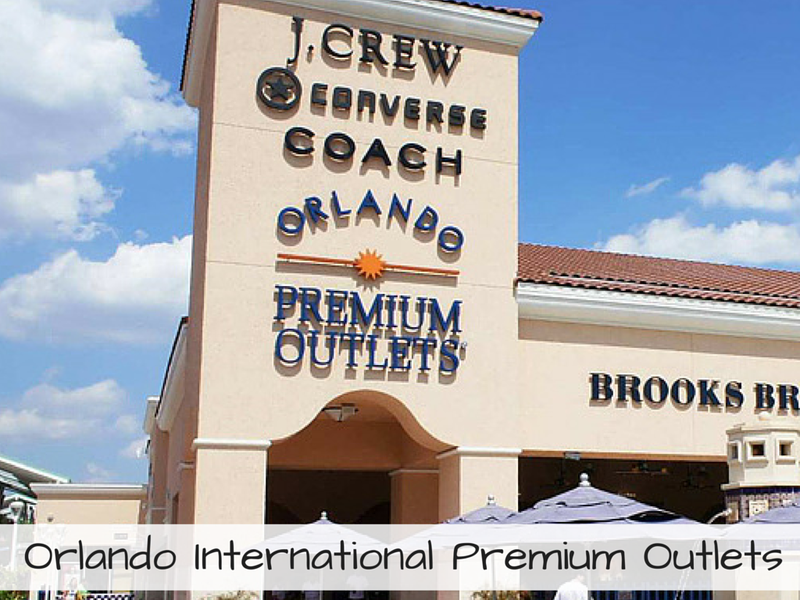 Just three hours north of us, Orlando has quickly become our go-to road trip location. There is so much to do here, and a lot of it is toddler friendly. Without further ado, here's our list of top Orlando spots! 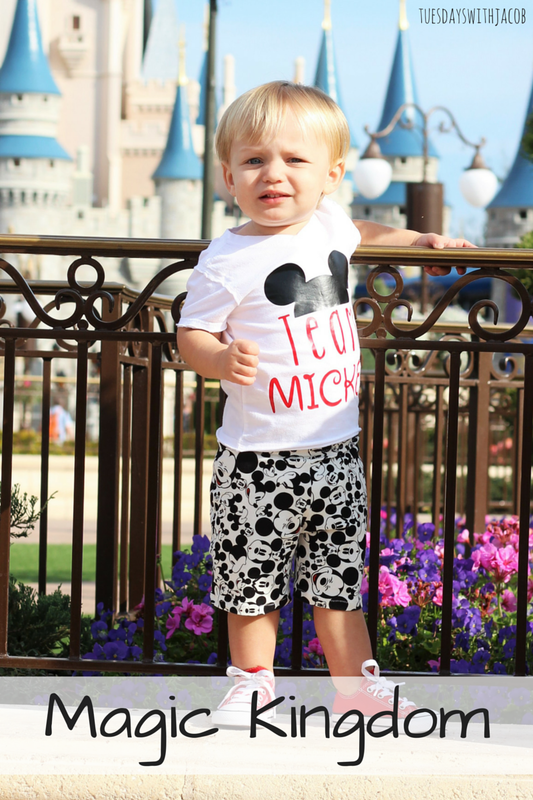 If you are going to spend money on a Disney park, this is the one to do with your toddler. 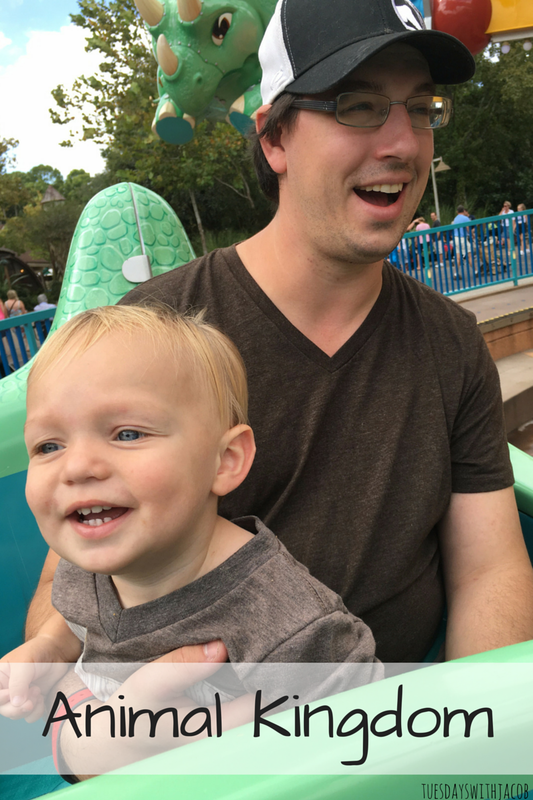 Hands down the most rides, shows, and characters for your little one. On our most recent trip we spent two days here instead of doing a second park, it's that great for toddlers. This is the second most toddler friendly Disney park, with lots of animals to see, kid friendly shows, and kiddie rides in DinoLand U.S.A. 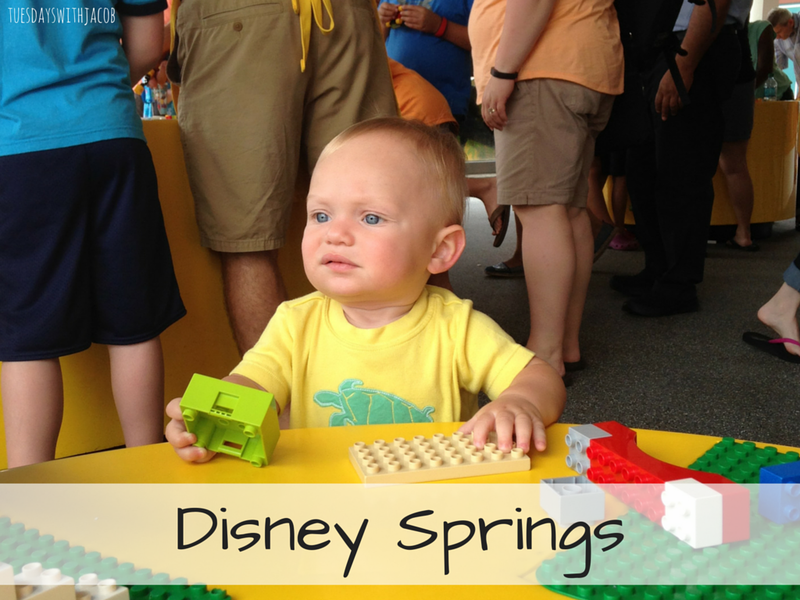 This is the smallest of the Disney parks, so it can easily be made into a half day excursion. This wonderful farm is located in Kissimmee, just a short drive from most hotels. 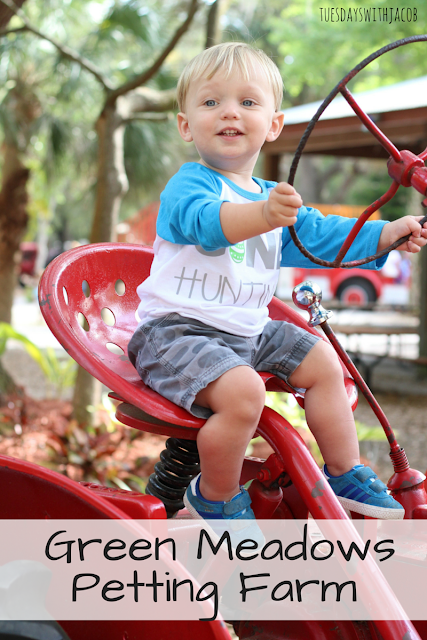 It has a steam engine train, lots of animals to see and pet, and pony rides. The entire park is shaded by big beautiful trees which make it perfect for hot days when you want to stay out of the sun. The Orlando aquarium is part of the Sea Life chain. 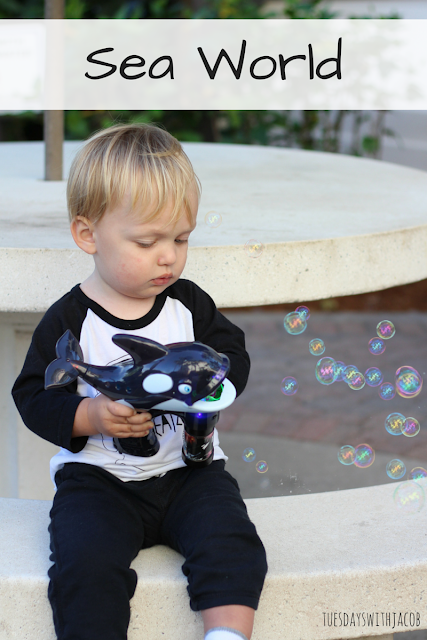 It has a wide variety of sea life to keep kids and adults entertained and learning something new. The entire aquarium is inside, so again, this is an ideal pick for a really hot day, or even a rainy day! Previously called Downtown Disney, this is a great way to experience the Disney magic without buying a pricey theme park ticket. There's a kiddie train, a carousel, a movie theather, a bowling alley, a hot air balloon, and many child friendly stores to explore - like the Lego store where kids can play and build with legos. 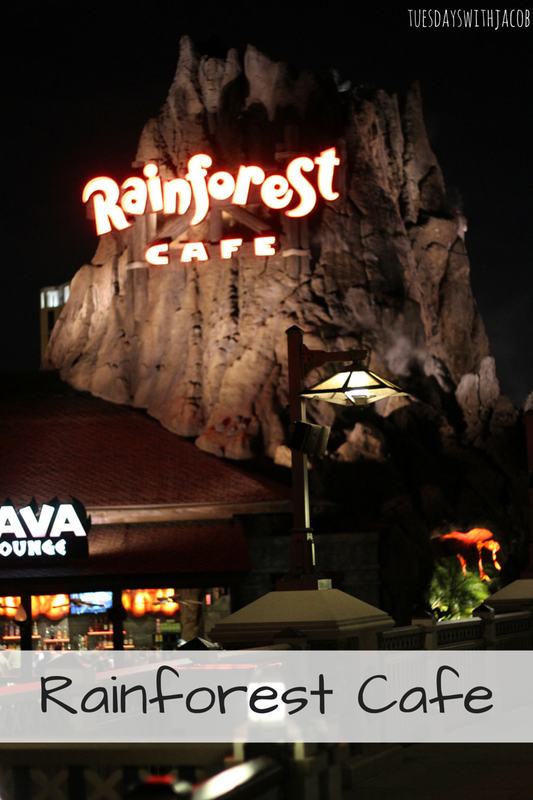 There's also many restaurant and dessert options here for when you are all done shopping and exploring! 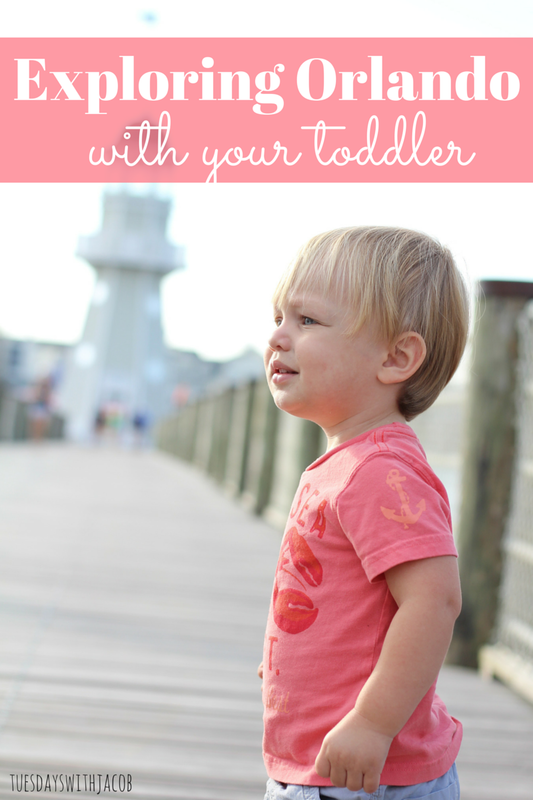 Sea World has a whole kiddie land with a playground, splash pad, and playground for kids. 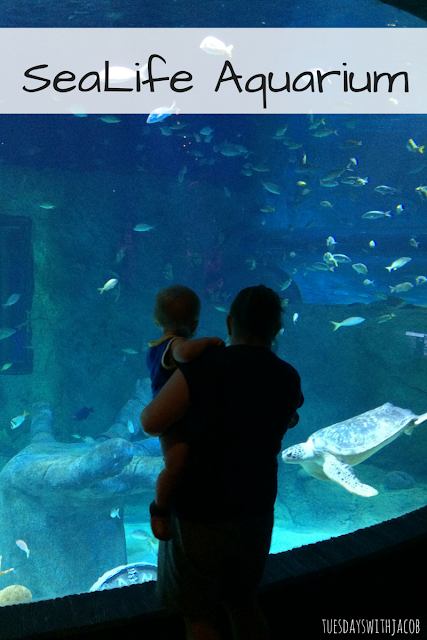 Our toddler also really enjoyed the dolphin show, and watching the animals in their tanks. Every now and then if you're lucky you can even find a character walking around for picture opportunities. This might not seem like something that would automatically be great for toddlers, but the outlets have a great playground around the back for kids to play on. If you're lucky they might just wear themselves out and sleep in the stroller while you shop! There are lots of children's stores here including Carters, Gymboree, and more! You are already paying for the amenity, you might as well use it! 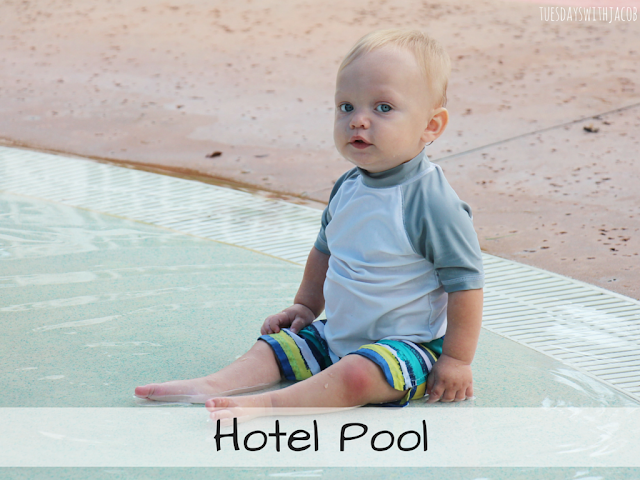 The pool is a great way to spend a relaxing day in between other attractions, or to come back to after a long hot day. Another great way to see the characters without buying a theme park ticket. 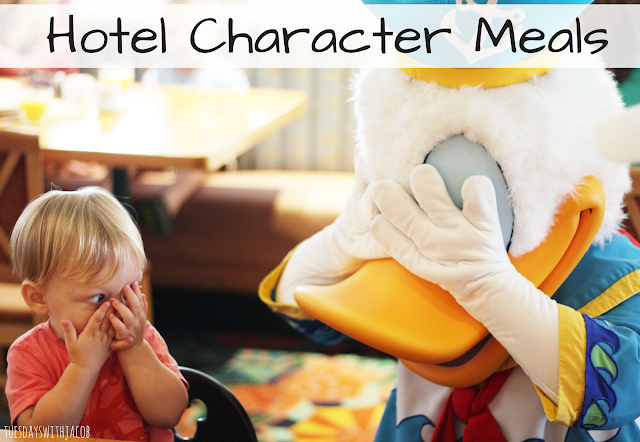 Many of the Disney hotels host some form of a character meal. The ones we've been to are at the Contemporary, Polynesian, Beach Club, and Fort Wilderness. Located at the previously mentioned Disney Springs, the decor in this restaurant is top notch. There is so much for kids to look at with trees and animals everywhere. It does "thunderstorm" every now and then, but our little guy wasn't bothered by it. The T-Rex cafe is also located at Disney Springs and is a different theme, but same concept. Have any places we should check out on our next visit? Leave me a comment and let me know!